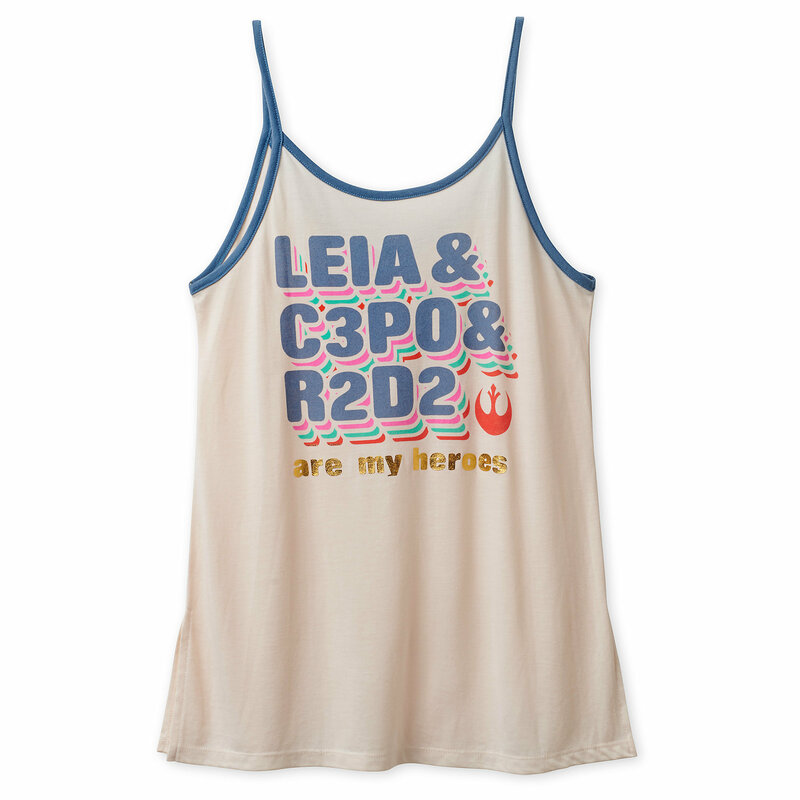 This women’s Star Wars tank top is now available at Shop Disney. The ‘natural white’ coloured tank top features contrasting blue neckline binding and ‘spaghetti’ shoulder straps, and a front text print. The artwork features the text ‘Leia & C-3PO & R2-D2 Are My Heroes’ in vibrant colours and accented with gold foil. 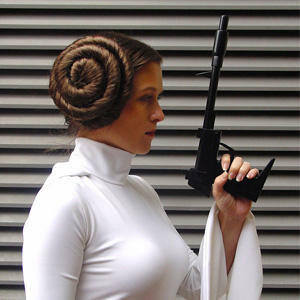 The tank top is made from 65% polyester / 35% rayon, and has vented side seams, and a flared silhouette. 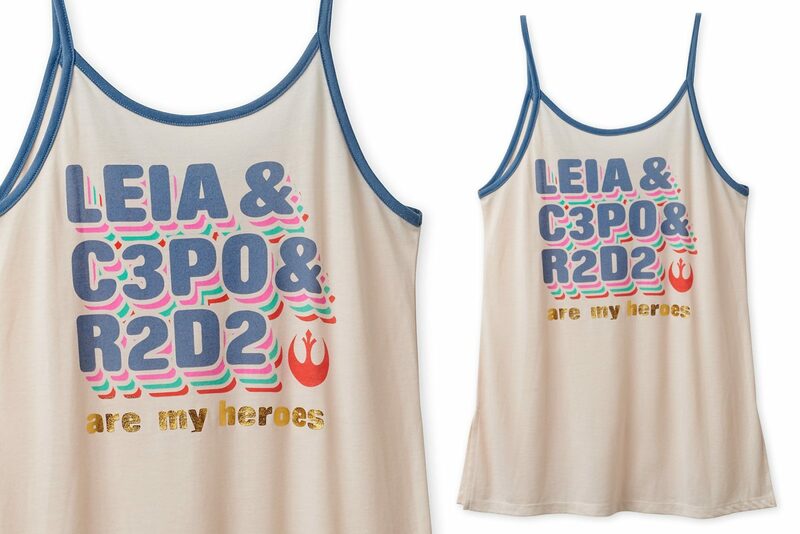 This sheer Star Wars tank top salutes three heroes of the rebellion: Leia, C-3PO and R2-D2. Metallic text accents, a blousey flared cut, vented hem, and contrast ”spaghetti straps” will launch you back to the 1970s. Available in sizes XS to XXL, the tank top is priced at US$29.99 each – Shop Disney can ship internationally.